Exchange traded funds (“ETFs”) are open-ended investment funds, similar to traditional managed funds, that are traded on a stock exchange – just like any share. Generally, ETFs aim to track as closely as possible the performance of a given index or asset class. ETFs are transparent, liquid, cost-efficient and flexible investment tools, designed to be attractive to both individuals and institutional investors. To help you get started, we’ve put together a simple and easy-to-follow email series that you can digest at your own pace and which aims to get you up to speed with all things ETF. Sign up to get started! ‘On-screen’ liquidity looks low? Are ETFs liquid investment products? As ETFs trade like shares, investors may mistakenly attempt to evaluate their liquidity in the same way they might for shares. This gives rise to one of the most common misunderstandings about ETFs, namely, that an ETF’s ‘on-screen’ volume equates to ETF liquidity. Due to the open-ended structure of ETFs, the best measure of an ETF’s liquidity is the liquidity of the underlying assets (such as company shares) it holds. In most cases, therefore, this means ETFs are highly liquid! Unlike shares or listed investment companies (LICs), ETFs have an ‘open-ended’ structure, which effectively means their supply of units on offer can adjust to demand through the trading day. Each ETF trading on the ASX has one or more dedicated market makers. Uniquely to ETFs, these market makers have an ability to add to or withdraw from the supply of ETF units by trading directly with the ETF issuer (such as with BetaShares). Should investor ETF demand exceed what is currently available ‘on screen’, the market makers can simply create more units (issued by the ETF issuer) to meet the demand. Similarly they can also redeem their units should supply exceed demand. The ETF units issued or redeemed are exchanged for the underlying holdings that comprise the ETF and therefore the liquidity of these underlying holdings is the key determinant of the real liquidity of the ETF units available to investors. The volume displayed for sale or purchase at any given moment of the trading day, therefore, is really only a small glimpse of what is really available. What is the role of a market maker? The role of a market maker is to satisfy supply and demand for units. They do this by providing liquidity to the market by acting as the buyer and seller of units on the ASX during the day, and by creating and redeeming units off-market. This helps to ensure the number of units on issue matches supply and demand, which in turn seeks to ensure that the price of the ETF does not trade at a material premium or discount to its net asset value (NAV). What is a NAV and how is it calculated? NAV stands for “net asset value”, and represents the dollar value of the underlying holdings of the ETF less fees, costs and other liabilities. The NAV is calculated daily and published for each product on individual product pages of this website. Click here to visit a product page and see an example. To help ETF investors assess whether an ETF’s market price is in line with the “net asset value” (NAV), to encourage maximum transparency, most ETF issuers provide a real time indication of NAV per unit, or iNAV, which stands for ‘Indicative Net Asset Value’. The iNAV calculation is normally provided by a third party calculation agent, who has access to the prices of the ETF’s underlying securities and assets. The calculation agent uses market data feeds to determine the current market value of the assets of the ETF. This provides an investor with an independent indication of the ‘fair value’ of the ETF – in real time. The iNAV is very helpful for investors when it comes to trading ETFs. Potential investors can simply compare the “iNAV” to the price at which they can buy or sell ETF units on the market – if the values are close then the investor can elect to trade at that price. Our Fund iNAVs are, where applicable, either displayed and updated regularly on our website, or in some cases, can be viewed on broker websites using as an ASX code (e.g. QOZ). For more information see the relevant Fund page. How is an iNAV calculated? The iNAV is calculated on an intraday basis by a third-party calculation agent and is based on the market prices of the individual holdings included in the index or asset class being tracked by the Fund. Most traditional managed funds calculate NAV once per day, or less frequently. By contrast, BetaShares’ iNAVs are normally updated every 60 seconds, enabling investors to compare the ‘quoted price’ at which they are considering buying or selling the product vs. a ‘fair value’ price as designated by the iNAV. What is the difference between the NAV per unit and the market price? The NAV/unit of a Fund represents the dollar value of the underlying holdings of the ETF expressed as a single unit value. As a result this is the ‘fair value’ of an ETF which is struck daily as at the end of the day. What are the risks of investing in ETFs? Do I take any risk on the ETF issuer? The primary risk of investing in ETFs relates to the underlying investment strategy itself. Because ETFs typically aim to track an index or asset class, should that index fall in value, you should expect the value of your ETF to fall too. From a structural perspective however, ETFs in Australia are regulated by the Australian Securities and Investments Commission (“ASIC”) as registered “managed investment schemes” (“MIS”) which means ETF issuers are governed by a detailed set of regulations regarding the operation of their funds. Most importantly from an investor perspective, the assets of an ETF are held on trust for the benefit of unitholders and separate from the assets of the product issuer. As an extra layer of separation, the assets are normally held by an independent third party custodian appointed by the ETF issuer. This essentially means ETF assets are not available to creditors of the issuer in the unlikely event of a default. If a business failure at the level of the ETF issuer were to occur, a new manager would be appointed and the ETF would continue to operate. Alternatively, if the ETF were to be wound up, the liquidator would sell the assets, and the net proceeds would be paid to the unitholders in proportion to the number of units they held. For more information on the specific risks of a particular Fund, please see the “Risks” section in the relevant Product Disclosure Statement. BetaShares ETFs are a family of exchange traded funds (ETFs) that trade on the Australian Securities Exchange (ASX), just like shares, during the trading day. They can bought and sold like any share via any broker. At BetaShares, our suite of ETFs are designed to expand the universe of investment possibilities for Australian investors and have been built with the needs of Australian investors in mind. We do this by delivering transparent exposure to a broad range of market indices, asset classes and investment strategies. These can be products based on equity indices (e.g., providing exposure to a particular segment of the equity market or the broad sharemarket itself), or they can be products that offer exposure to alternative asset classes (eg: currency and commodities). To view the full BetaShares product range, please click here, or contact us to request an information pack. What are the benefits of BetaShares ETFs? ETFs help investors gain exposure to a wide range of investment strategies, international markets and asset classes as simply as buying any share. ETFs normally have a high level of liquidity, and are traded on the Australian Securities Exchange (ASX) so can be bought and sold just like shares during the trading day. Investment information about ETFs (including underlying portfolio holdings, fees and distribution information) can be accessed via the relevant Fund product page. Because ETFs aim to track the performance of an index or asset class, there are no in-built ‘active management’ fees to worry about. As such they’re generally significantly more cost-effective than comparable traditional managed funds that are actively managed. What are the differences between BetaShares ETFs and managed funds? BetaShares ETFs are built like traditional managed funds but they can be traded on the ASX like any share, providing significantly more flexibility to investors. How are BetaShares ETFs structured? BetaShares ETFs are regulated unit trusts whose units trade on the ASX much like shares. They have the same legal structure as traditional managed funds and are subject to the highest form of investor protection regulation available in Australia. The assets underlying our ETFs do not form part of BetaShares’ assets. Rather, they are held on trust for the benefit of unitholders. BetaShares has appointed an independent, third party custodian to hold the assets of each exchange traded fund, which are kept separate from the assets of BetaShares, the custodian and any other fund. How can I use BetaShares ETFs in my investment portfolio? 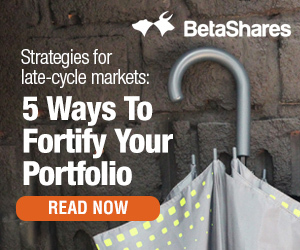 BetaShares ETFs can be useful building blocks in any investor’s portfolio. They are very flexible investment tools which can be used to implement a wide range of investment strategies, including core ‘buy and hold’ allocations and tactical exposure to a particular investment theme or strategy. How do I buy or sell BetaShares ETFs? BetaShares ETFs are traded on the Australian Securities Exchange (ASX) and can be bought or sold like any share during the trading day through a stockbroker, financial adviser or online broker. As such, if you want to purchase a BetaShares ETF, and already have holdings in shares, you do not need to open a separate trading account. If you’d like more information regarding buying and selling ETFs, please contact BetaShares Customer Services on 1300 487 577. What costs are associated with investing in BetaShares ETFs? ETFs accrue management costs daily in the value of the unit price, much like traditional managed funds. As such no additional fees are paid by an investor to BetaShares when trading ETF units on the Australian Securities Exchange (ASX). To view the fees applicable for each fund, click here. In addition, because ETFs are bought and sold just like shares, customary brokerage fees will apply when trading ETFs, just as they do when investors trade shares on the ASX. Note that these fees are levied by your broker with prices set by them, not BetaShares. What should I consider before executing an ETF trade? Before placing your ETF trade order, check with your broker (or look at “market depth” if using an online broker) to make sure you have accurate bid-offer information. If there is an iNAV associated with the Fund, you should check this against the price at which you are planning on buying or selling the ETF to make sure you are getting close to ‘fair value’. It may be prudent to use limit orders rather than market orders to make sure you get the price you are expecting. Limit orders allow investors to specify a buy or sell price and will only get executed at the stipulated price. Avoid trading in the first and last 10 minutes of the trading day – at this stage there is generally a lot more volatility in share prices which may lead to wider ‘buy-sell’ spreads. Can I use BetaShares ETFs in my self managed super fund (“SMSF”)? What will I receive once I invest? Do BetaShares Funds pay dividends/distributions to investors? In general, any dividends or franking credits earned by the underlying assets held in a BetaShares Fund will be passed through to the unitholders. You can find distribution information and current yield/franking levels on the individual product page of the Fund you are interested in. Who is entitled to a distribution? As with shares, unitholders on the register of a Fund as at the record date for the distribution will be entitled to a share of the distributable income of the ETF for the relevant distribution period, based on the number of units held in the ETF. Do BetaShares Funds pay franking credits? To the extent that the underlying holdings of the Fund receive franking credits, these credits will normally be passed on to the Fund’s investors. What is a Distribution Reinvestment Plan? Are they available on BetaShares Funds? Distribution Reinvestment Plans (DRPs) allow unitholders in a Fund to take part or all of their income distributions in the form of additional units rather than cash. For example, for a quarterly distributing fund, an investor does not receive quarterly distributions directly as cash; instead, the investor’s distributions are directly reinvested in the Fund. Many of BetaShares Funds allow investors to undertake partial or full DRPs. To check whether this is available for the particular fund you are interested in, please see the relevant Product Disclosure Statement (PDS). How can I access my BetaShares holdings online? Upon investing, you will receive a Welcome Letter which includes instructions on how to access your holdings and update your details online via the Link Investor Centre. The web address for the Link Investor Centre is www.linkmarketservices.com.au. If you need help, please contact Link Market Services on 1300 554 474, they will guide you through the online portal. How do I sign up for a Distribution Reinvestment Plan (DRP)? Any DRP is currently available only to unitholders who have a registered address in Australia or New Zealand. Eligible Unitholders can elect to participate in the DRP by completing an on-line form available on our unit registrar’s website (Link Market Services) or by contacting the registrar (further information will be provided in the information pack sent to you when you become a unitholder). Participation in the DRP is subject to the terms and conditions of the DRP policy document, which is available at no charge from the registrar, or by contacting BetaShares on 1300 487 577 (within Australia). What tax information will I receive for my investment in a BetaShares Fund? Just like any share you may have invested in, after the end of a financial year you will receive an individualised tax statement regarding your investment, setting out the components of any income received during that financial year. This can be used to help you with your tax returns for the year. How do I change the contact details or make other general enquiries regarding my investment in BetaShares Funds? Link are able to help you with a number of administrative enquiries including some frequently requested queries. or if you have other enquiries regarding your holding of units.